Alex became a hurricane late Thursday morning, marking the first time a hurricane has formed in January in the Atlantic since 1938. The last time the Atlantic had a hurricane in January was when Hurricane Alice formed in late December 1954 and continued spinning into January 1955. 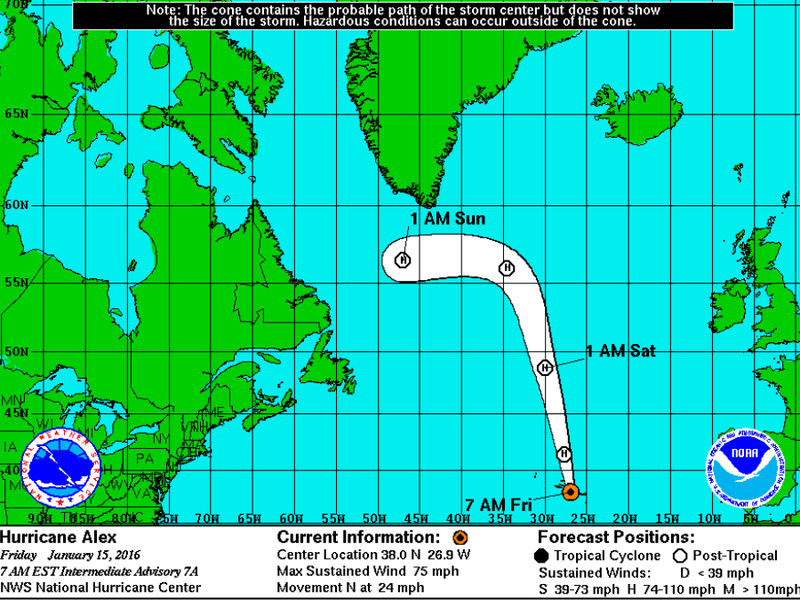 Alex began as a sub-tropical storm, but it has since become a full-fledged tropical hurricane. Download Storm Shield App to get severe weather alerts wherever you are. 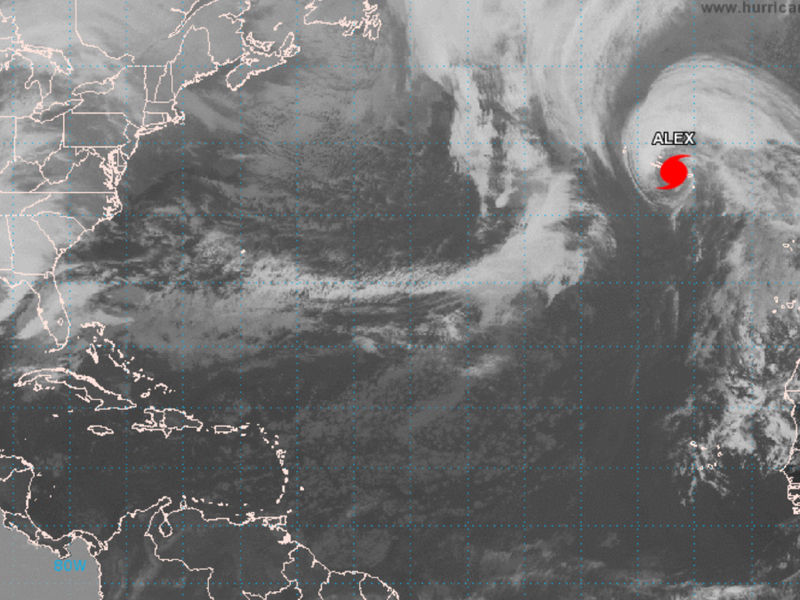 Alex is currently in the far eastern Atlantic Ocean near the Azores islands, and it won't come near the United States. Hurricane season begins on June 1 and lasts through the end of November, and having a hurricane form in January is extremely rare. Related Content: Why do we name hurricanes?